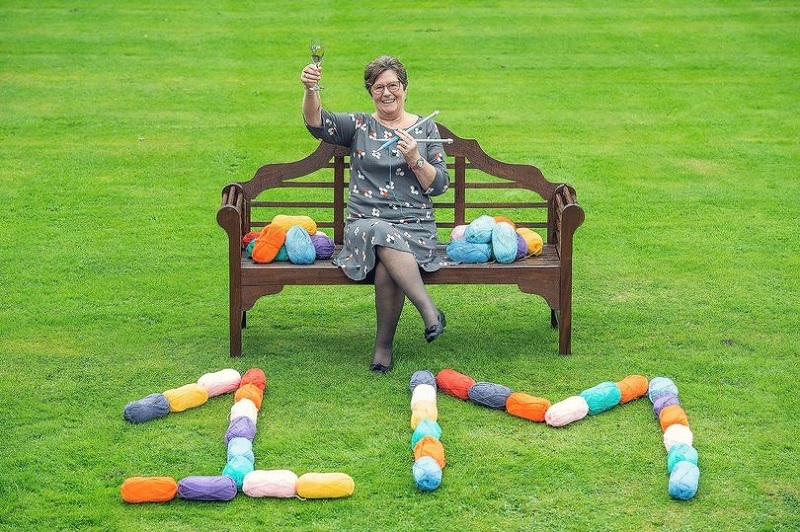 A lucky lotto winner from Berwick-upon-Tweed is spending some of her £1 million lottery winnings on her long-time hobby. When Violet Grahamshaw, a 63 year old pensioner, and her husband visited their local shop with a pile of forgotten lotto tickets they weren't expecting their lives to be changed forever. Thinking they might have won a small prize or two, the couple was shocked when they where told that one of the tickets had won them a incredible £1 million jackpot. The retired care worker says that the couple plan on renovating their home, and that she also plans on spending some of the winnings on her favorite long time hobby. Mrs Grahamshaw, from Berwick-upon-Tweed, said: “Since retiring three years ago, I have been doing a lot of knitting and dress making so I’ll be treating myself to a new sewing machine." Violet also said: “He was shaking, chalk white and kept saying, ‘Call this number’. When Camelot confirmed I’d won £1million, I couldn’t believe it. If you'd also like a chance at winning a life-changing jackpot playing in some of the world's biggest lotteries, sign up to Giant Lottos right here and also claim a free Mega Millions tickets. You can enjoy lotto online, right here at Giant Lottos for the exact price you 'd spend in the stores. Enter using our quick and convenient registration system and you'll have the ability to deposit funds, pick your numbers and buy your lotto tickets online .